Put your gutter troubles aside with CPR Gutter Protection Specialists. Over the years gutters begin to show wear and tear from being expose to all the outside elements. Rain, heat, moisture, sunlight and debris all begin to cause slow deterioration, and, over time, the gutters experience cracks, loose connections, and will fall off the roof. This inhibits them from channelling water away from your home where it belongs. You’ll soon observe rainwater coming down the sides of your home instead of down the drain and into the yard. Brand new gutter installation insures that your home will be protected from rainwater. New gutters also improve your home’s curb appeal and give your roof a fresh new look. When it comes to replacement gutters there are generally two different sizes that we recommend – 5 inch and 6 inch gutters. The reason for this is because 5 and 6 inch gutters have a higher capacity rate for debris. Although 6 inch gutters are generally used for residential properties, you can also install them on homes. It all depends upon the size of the roof and the ability to accommodate a large size of gutters. A CPR Gutter Protection gutter specialist can come out to your home or business, asses your specific situation and make recommendations on replacing your smaller gutters with larger gutters that you will enjoy more. Believe it or not, gutters are not all the same. There are a wide variety of options that are designed to perfectly suit your home. With CPR Gutter Protection you can choose from aluminum, steel, zinc, or vinyl gutters. Treated steel gutters are extremely durable. Aluminum is lightweight and is easily and quickly installed. It’s also a very affordable options. Vinyl gutters are also lightweight and require little maintenance. They’re available in various colors that can perfectly match your house. Zinc gutters are constructed from high quality materials and can withstand extreme weather conditioners. 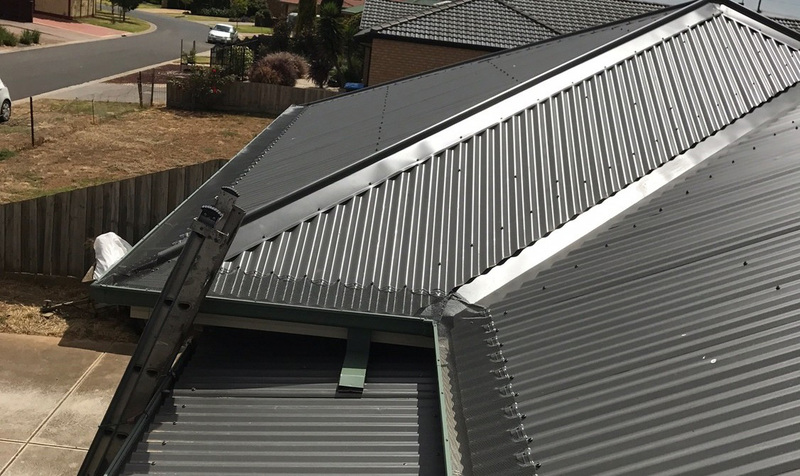 We can help you discover all the pros and cons for all types of gutters and then help you pick out the one for your home. If you are replacing your gutters in the near future, then why not go all the way? Do it right with gutter guards from CPR Gutter Protection. Once you use gutter guards, you’ll wonder why you waited this long. Gutter guards provide ultimate protection for your gutters. When installed they are placed over the gutter. They collect moisture and rain inside the gutter, but they shield you gutters from branches, debris and all other materials. This allows your gutters to do what they do best – channel pure water through the gutter system and out into the yard. Say goodbye to monthly gutter clearing costs! Gutter guards are a great investment for your gutter system. Need new gutters? We can help. CPR Gutter Protection, Victoria’s premier gutter company. We have been serving homeowners with quality gutter products that help protect their home. We are insured, certified and licensed in all areas of gutter work including repairs, replacement, brand new installation and ongoing maintenance. We have a no-holds gutter that doesn’t puncture the base board during installation. This keeps your home’s framework in excellent condition. Contact us today and let us help you with all your gutter needs. We provide complete gutter service regardless of how simple or complex your roof system is. Call CPR Gutter Protection Today!